"Intuitive Movement" is what I call the process of learning how to use the body as a spiritual tool. Your body is instrumental in healing your body-mind-soul. When you move intuitively, it is about more than just exercise, but deeply feeling the movement and expressing the movement as part of your spirituality. The movement becomes a way to release emotions and access your soul. 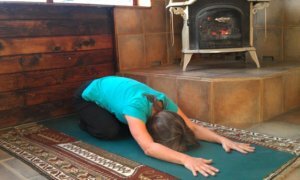 Intuitive movement is ‘praying with the body,’ as my sister likes to call it. But first I wish to share my own journey for healing my body-mind-soul through intuitive movement. I have long thought of exercise as ‘movement therapy’. I would try to cajole employees I guided in wellness counseling sessions, into making it ‘therapy’, making it fun, and making it something they longed to do. For me exercise had become a form of therapy, although it was not always so. I started exercising regularly in my early twenties, after getting out of college in the early ‘80’s. I never seemed to have the time or the desire in college, but I knew I loved to get out on hikes on the weekends, a childhood acquired love. Plus, I played a few sports in high school and college. I never attacked sports with a vengeance, since I favored the solace-type activity. I began my exercising with the regimens of the time, the current mantras from the health community. I was after all a nurse, and did only the minimum required for ‘health,’ according to the latest research. This was cardio for 20 minutes, getting the heart rate up to 80% of cardiac output, at least three times a week. The real reason I started to exercise was I wanted to lose weight. Plus I knew that muscle burns more energy than fat, so I included a weight-training program a few times a week to help with the weight loss. Exercise was a necessary evil to keep off the dreaded pounds. There was nothing spiritual about it, no body-mind-soul healing here! I was very good at keeping up with the latest health craze. I ‘Got Physical’ with Olivia Newton-John and aerobic exercise and became a ‘Maniac on the Floor’ with ‘Flashdance’ and fit a weenie exercise bike in my weenie apartment in Philadelphia. My husband at that time bought a Soloflex and we also weight trained. Whenever I could, I would get out on weekends, dragging my husband to go hiking. Somehow being out of doors meant something to me. The regimens were often laced with real joy, as I danced my way to fitness. I kept my weight down over the years, and changed my regimen with the times, as I incorporated each new fad. Slowly, I began to realize that I was at my best when I kept physically fit. I learned to miss my exercise when I was unable to do it. What I didn’t understand at the time is that the body releases feel-good chemicals called endorphins during exercise that improve your mood. 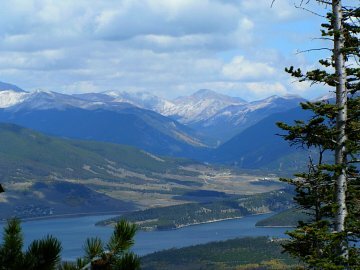 I also learned to love the outdoors even more after moving to Colorado in the late ‘80’s. My concept of healing body-mind-soul was growing through nature and being aware of a Greater Presence. I always said that a Sunday spent in the mountains, outdoors was more inspiring than sitting in a dry church that just wanted to fill my head with their particular brand of dogma. The ‘cathedral of nature’ was where I longed to be most and spent more and more time finding goals and excuses to go there. Now it was more difficult to keep up the indoor ski machine, the treadmill or the exercise bike. Fortunately for me, the weather in Colorado would aid my ability to exercise outdoors. I became an avid hiker and skier. In my late thirties, together with my family, I started Tae Kwon Do. All of us became more flexible, more fit and earned our Black Belts in 2 years. Tae Kwon Do was more a family activity at the time, and it was healing in many ways, for that purpose. It was my first introduction to meditation and body-mind connected movements. This was also a time of great productivity in my life, and I was at the peak of my professional career. I was further along on my path for body-mind-soul healing through intuitive movement. As I grew older, and away from structured physical activity, I would occasionally take a formal exercise class, but I always found that I wanted to do things my way! I wanted to do a certain movement for a longer period of time, or I wanted to do things a little differently. I always listened to my body, and besides, I didn’t like the extra time, effort, and money that it now took to take formal classes. I guess I was always motivated and willing to put in the time required for self-discovery and self-learning. I was learning intuition of my body as I moved toward a more intuitive movement. I'll never forget the year I decided that I wanted to be a runner. I started slow, like I was supposed to, gradually building up to 3 miles every other day or so. I had recalled a distant distaste for running, but decided that now that I was almost 40, I needed to do something to slow the aging process. And running made me feel great - strong and powerful. I gloated in the catcalls I got as I ran, hair blowing in the air stream I was creating. All of a sudden, I started to have an ache in my hip, ever so slight at first but increasing slowly over time. The ache finally got to the point that I decided, that if I took 2 aspirin before running, that I would prevent the pain. And that worked well. Then one day the realization of what I was doing hit me and I said to myself, "This is ridiculous!" Why would I continue to push past the pain, if what I was doing was causing me to hurt myself? I ceased running that day, and started to look for alternatives to fitness. I was beginning to use my intuition more to listen to my body and was on the way to intuitive movement. I wonder how many injuries could be prevented, if a person listened initially to that first twinge, that message that their body is telling them? Most injuries are repetitive anyway, meaning that once a pattern of pain, or ill health is created, that repeatedly abusing that body part will eventually result in an injury. We have totally lost the ability to listen to what our bodies tell us, as we "push past the pain," for ill-conceived, distorted view of health and physical goals. The goal is paramount, at great costs to us. Since we view physical fitness and our bodies as machines, we often treat them like machines, which is not good. We seem to find it very difficult to listen to our bodies. Intuitive movement is lost as we push our bodies too far. This includes all aspects of our bodily functions: we push through the pain that is trying to tell us something, we eat whether we are hungry or not, we hold in our feces and our urine, for a more appropriate time, because we are too busy, and create constipation and urinary tract infections. We have totally lost the ability to love ourselves and love our bodies. My movement therapy morphed into lower impact fitness. I bought a trampoline, and for years, worked out on it. The rhythmic trances that I put myself into were fabulous, as I listened to music on an old radio that I clipped to my belt. This was in the dark ages, before the iPod! But I still ran away to the mountains, whenever I could, to hike, climb or ski. Slowly over time, my exercise became more meditative and introspective. I took up rock climbing in my forties, in order to build my confidence for mountain climbing and to become more comfortable to exposure high on the ridges. Climbing was a real challenge to me, as I have a fear of heights, to some degree. 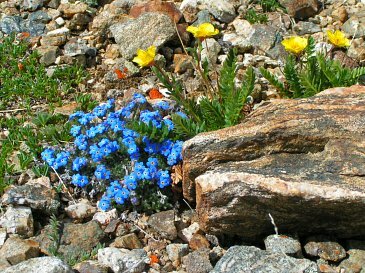 I progressed slowly, but surely, and my confidence improved dramatically when I took my new skills to the mountain I wanted to summit. I was improving on my skills for healing my body-mind-soul through intuitive movement. I could now challenge my mind, exercise my body and enjoy the spirituality of the mountain. I will never be a rock climber of any magnitude, but what I learned about myself was invaluable. What a lovely metaphor for life, and the road I was on, to self-discovery. Nothing, I repeat, nothing in life is as worthwhile as bringing to fruition that which we desire the most, through moving your inner energy toward the positive results! This is exactly the direction where my exercises were going. Exercising was now intuitive movement and I was doing it as a part of my inner journey. I was doing intuitive movement unconsciously as my body-mind-soul was searching for deeper meaning. It was my body, as I listened to it, guiding me in the path I was to go. This was a spiritual process. I more recently discovered the benefits of yoga. I had always incorporated stretching and warming up in my exercise routines. I used the yoga sun salutation that I had taught myself from a video and a book, many years ago. It was a lovely way to warm up, and stretch at the same time – a real time saver! Plus the movements brought me peace. I was now suffering from the aches and pains of growing older. My legs and hips especially were always sore and tight. In my programs at work for employee wellness, I would take advantage of low cost massages. It seemed that the masseuse could never quite resolve my tight hip muscle issues. I held my tension deeply and it was to prove to be a habitual pattern. Of course, being the independent type, I looked to the Internet to find ways to cure myself. I stumbled across a body rolling system. With the use of various size balls, you could roll on the balls, to deeply work the muscle area in question. I ordered the balls, and began my therapy. It was very effective! I would sit on the ball, rolling it deeply into my hip muscle until the muscle would finally give up its tension, and release. With the release came the release of the pain. If body rolling on balls sounds intriguing to you, you can go to Body Rolling for different types and sizes for your needs. I am particularly fond of the Yamuna body rolling system, and it is how I started. I learned about rolling on 36" cylinder foam rollers. The foam rollers were especially effective for rolling my back and hips. Foam Rolling is fondly known as the ‘poor man’s massage,’ however I never viewed it as such. It was a very effective way for me to access my muscular tension, and therefore my stress. I could work for as short or as long a period as I desired, and I could go exactly to the area where I needed to go, without having to follow someone else. It was just another tool in self-discovery and self-healing. My intuitive movements were now very effective as I really worked each tight area. As an added bonus, I discovered that foam rolling and body rolling would also improve your posture and balance. When you do a consistent practice of body rolling, the balance required to do the movements automatically build your core strength as well. It’s a win-win situation all around. The meditative yoga soon became an addiction. I was learning to achieve deeper spiritual awareness through movement. After several classes to hone in my technique, and much studying of yoga postures online, I learned all the different yoga poses. I would do my poses in the early morning, in the dark, with candles lit. I learned to combine deep breathing with the intuitive movement and stretch. On the inspiration, I would elongate my body, and then on expiration I would deepen the stretch. In the quiet solace of the morning, I would deeply feel the movement - creating ‘space’ I never knew I had. Insights and revelations would come pouring into me. It was the most amazing journey of self-discovery that I had ever known. I thought I knew myself pretty well, but not so! That old left-brain was very good at rationalizations and blocking of my true inner state. The insight was so vital to me at the time, since I was struggling with career issues and the crumbling economy of 2008. In my insights, I was feeling alone and unsupported and very afraid. My dreams for starting a new life with my husband were coming crashing down with the economy. I rolled on the foam roller, and through intuitive movement I learned to move instinctively into the areas that needed attention: back, hips and legs. I learned that ‘moving forward’ was indeed the symbolism of my body. I was full of fear, and afraid to move my energy forward toward what I was discovering was my destiny. I was very afraid to trust that God and the Universe would provide for us. I have a difficult time being still and emptying all thoughts with only meditation. If I can turn my focus to my body, to the movement, it diverts my mind, diverts my thoughts and brings me back to the body-mind-soul. If I add the focus on the breath with the focus on the movement I can transcend my thoughts and go inward. Knowing where to move, where to stretch for my own personal needs became natural - an intuitive movement. We all know that exercise is good for us, yet we often view it as a punishment, something that we just want to get over with as fast as possible. I hear over and over again from people, that exercise is ‘boring,’ especially in fitness centers on the cardio machines. People try to read books, magazines, stare at the TV or continually re-calculate their distance/speed on the machine. It seem that people will do anything to keep from going inward during exercise, to keep from stilling the ever-active mind. God forbid that we focus on the body itself, focus on the movement and the rhythm. God forbid that we listen to the body when it is speaking. People need to be entertained at all costs, we need our minds to be busy at all times. We do not know about healing the body-mind-soul! We just want to get the exercise over and done with as fast as possible! This is why I believe intuitive movement is so important. Reflective movement is the perfect time to go inward. Doing your walking, running, biking or whatever out of doors helps you keep it meditative as well. When I have to use the treadmill, I even cover up the display with my towel or T-shirt to keep from constantly focusing on a particular goal that my mind wants to set. I just walk and create an inner rhythm, whatever my body wants to set, based on how I feel that day. It can be slow, then speed up, and even eventually run. Or it can be a slow walk the entire time. I focus on my breath, and the rhythm my body creates. Time goes by quickly most days. Inspirations come most days. Gratefulness and thankfulness for the health of my body-mind-soul comes all days! Meditative, intuitive movement is the key to understanding ourselves by using our body to find our souls – the Body Window at work! This is healing your body-mind-soul! I also spent many hours in spiritual counseling with my sister, a spiritual virtuoso. She helped me connect the bodywork with the spiritual work. They were really the same thing, to my amazement, just expressed in a different language. I knew the language of the body, and she knew the language of the spirit. What I call intuitive movement she calls praying with the body! We were thrilled at the similarities and she changed my life and changed my direction. Now I was fully able to understand the impact of the body to speak to us through symbols – a reflection of our inner, emotional pain. My sister was also learning this language as I helped to partner and guide her through health issues, and come to a deeper understanding of what her body was trying to tell her. Together we were experiencing a mutual healing process. The point of this is to again, show you the strength within yourself, when you listen to your own intuition through your body’s language, to help guide you through understanding of your inner self. Any time that you spend alone with yourself, with the intent on self-discovery, will dramatically change your life. Healing the body-mind-soul through intuitive movement takes time and practice. If you choose to start your own body awareness through intuitive movement program, I will tell you to trust your heart and follow it. Do what works for you and focus on what you know you need to work on. If you are completely new to physical activity and physical fitness, you should get your physician’s approval and start really slowly. Movement that you are unaccustomed to will be painful at first. Draw from your experience with exercise over the years, as you initiate your movements. Do intuitive movements that feel comfortable. Avoid the tendency to push through pain of any type. If something hurts more than just a mild ache, let up on your movement just enough to stop the pain. The next day, see if you can go just a little farther without pain. Discover where your edge of comfort is and try to push it farther and farther each day. Go slow. If you can warm up your muscles first, with an aerobic exercise of your choice, of 10 or more minutes, or do your intuitive movement later in the day, when your body is already warm, this is best. I would definitely recommend beginning with basic yoga postures. 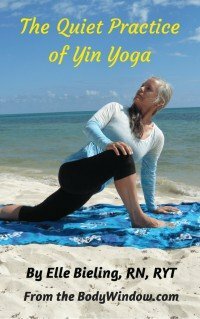 If you are brand new to yoga, I recommend taking classes or buying yoga videos: You can try my yoga meditations, with beginning poses. By making your movements intuitive movements and meditative, a new, amazing phenomenon occurs. Your overall mental status, and your overall physical health will improve. It is a slow insidious process that just sneaks up on you. Body work done in this manner is always soul work. To do meditative and intuitive movement or praying with your body, have a Yoga mat available. Start each session with gratitude and thankfulness for the wonder of your body and what it is trying to tell you. Spend a few moments in silence, light a candle if you wish, to symbolize your spirit and your gratitude and willingness for self-healing. Ask God/ the Universe for wisdom and understanding. Close your eyes, and attempt to empty your thoughts. Breathe deeply, in and out. Listen to the rhythm of your breath. Let it flow smoothly and evenly, in and out. If you wish, I have created a Body Blessing Prayer for you to center yourself and bless your body with Love. When you are ready, begin with any familiar stretch, maybe the part that you sense is bothering you the most. You may want to perform a body scan first, before deciding which movement to do. I recommend starting with a sitting yoga position on the floor, or a sitting stretch, so that you initially feel supported and able to accomplish more with less thought and less issues regarding balance. If you are completely new to exercise, this may feel awkward. Ignore all ‘shoulds’ or thoughts of someone judging you, because this is only coming from your heart, and no one else’s. Slowly start to move into the stretch. Feel what it feels like to move in this direction. Breathe deeply - in as you elongate, and out as you pull into the stretch. Go only as far as is comfortable. Hold the stretch while you breathe, in and out. If after a few moments, if it feels like you could go farther, breathe in, elongate your body more, and breathe out and move farther. Pay attention to any feelings you may have regarding moving this way. Hold the stretch as long as you wish. Don’t rush to the next move. Relax your mind and really feel the movement in the deepest parts of your body-soul. Do the same movement on the opposite side of your body (this is very important). Does it feel different on this side compared to the other side? How so? Intuitive movement is not able how far you can stretch, whether or not you can touch your toes, or how good you look. It is about receiving just as much benefit of body increased awareness movements no matter how far you can go, even if you move very little. The importance of intuitive movement is that you are aware of the movement and aware of the stretch and aware of your body's response to it! Stretches are a fabulous way to open your body and open your mind to new understanding of yourself. When you stretch your body, you 'stretch your heart and your mind.' When you create space in your body, you also create space in your life! This technique of intuitive movement is very healing for the mind, body and soul. You can also see my meditative stretches for runners. After you go through various movements and stretches, and have felt the movements deeply, be sure to write down what you have experienced. If you discover that you have never listened to yourself in such a way, and it feels too awkward, write that down. I would encourage continuing the next day, until you flow into it better. Everyone has a body flow, a body rhythm, and it just may take you awhile to discover yours. I find that when I really get into the zone of body movement, I don’t want to come out. I never seem to have enough time to experience the feeling of being in tune, being one with my body. This feeling is a very meditative, very releasing thing. You will soon discover if you continue your body awareness program, that when you focus on certain areas, certain muscles don’t want to release. These are the areas where we have held our issues, our pains for so long, that we know no other way of being. It is very important to pay close attention to these areas and spend most of your time there. If stretching isn’t enough to experience the releasing of both the tension and the emotion, I would recommend foam rolling, body rolling or deep tissue massage, in the hands of a skilled body practitioner. If you are really a true self-starter, you can try rolling your own muscle(s) with a tennis ball, or other similar firm ball. Sometimes, with the aid of a partner, they can roll an area for you. Try to keep the experience meditative, using the breathing techniques I described. Otherwise, you are just going through the motions, instead of it being an intuitive movement that accesses your body’s message. I personally prefer the cylinder foam roller and use it more than any other technique, other than Yoga postures. It is very effective to deeply roll my sore areas in my hips, back and legs. If you have more arm and neck issues, body rolling on a ball is more effective. Learn all you can on body rolling and see my videos on foam rolling where you can get plenty of information on the subject. By reading my foam rolling article you can learn how to roll your muscles effectively. Choose what your heart is drawn to. Just choose it and do it! Let Your Heart Go, and Your Body Flow! At other times, it is just as important to include in our intuitive movement, movement that just brings joy! Healing the body-mind-soul is not all seriousness. Try to imitate a child and the freedom they express with their bodies! Pick movements that make you feel good! One of my most therapeutic activities is to turn on my favorite music and slowly start moving to the music. As I warm up and get into the movements, I make the movements bigger, stronger and more joyful. It becomes a dance of Joy and Life! Moving your arms backwards and opening up your chest in joy, while getting your heart going, is amazing. The healing power of movement may surprise you. If you prefer to walk or run, ride bike, swim, or any aerobic exercise, try to make it meditative. All these activities can be very meditative, if you use the time to empty your mind, breathe and rhythmically move as you stay in the moment and connect with any thoughts and feelings that arise. Enjoying the trees, the flowers and the grass is very therapeutic and in the moment. Distractions such as another person, a dog, or music that disconnects you instead of connecting you, will not be helpful in meditative, intuitive movement. Even strength training exercises can be meditative if you stay in the moment, be aware of your body and breathe correctly. Always listen to your body’s pains during any activity that you choose, and if it is too strong to ignore, re-think your intuitive movement strategy. The soreness that you feel initially with a new activity is not a concern, unless it persists for more than a few days. Try to find an intuitive movement activity that does not bring you pain and distract you from the meditative state. You may need to consult a physical therapist or other health and fitness professional to find such an activity. I find most physician’s extremely unhelpful for this information, because their focus is only on treating physical symptoms. The most important aspect of meditative, intuitive movement is that you enjoy what you are doing and really feel the movement. Throw away all thoughts of goals, heart rates, and amounts of time. You and only you will know when you have connected with yourself, what really feels good and for how long you desire to do the movement. If you need to set a timer, so you can make it to work on time, please do so, so you can forget watching the clock. Time constraints are a reality of life, but you can create the time you need, if you desire the change, and long for the change. Healing the mind, body and soul through intuitive movement takes time and effort, but it is worth it for your total health and well-being. As you learn to open yourself to intuitive movement, the movements will flow, and become easier and your enjoyment will be reaped exponentially. You will find yourself refreshed and rejuvenated after the intuitive movement therapy! Think about this strategy as opposed to when you pushed yourself too hard, pushed through the pain to complete a goal at the cost of your body. Then you tried to keep up the regimen, but because it was too painful, it slowly fell by the wayside, because you no longer enjoyed the very thing that was supposed to bring you health! Listen to your body and make your movements intuitive movements and healing movements instead! Remember to breathe deeply and fully! Even our breathing has lost it's intuition and needs to be relearned as an intuitive movement! I long for the days with no schedules and time constraints when I can just relax into the meditative and intuitive movement to enjoy it freely without any holding back and for as long as I want. Always remember that health is a total reconnection of your body-mind-soul (See Definition of Holistic Health). Health is not merely a ‘physical fitness’ goal. You are NOT a machine. There is freedom in movement - freedom from your mind, freedom from your rationality. You do not have to think, but are able to get out of your head for a while as you immerse your self in healing, intuitive movement! The peace that comes in not thinking, but giving in to yourself and your body will set you free for the time that you are in this meditative, intuitive movement. It is a wonderful feeling! Let’s face it – when you cease moving you are dead! Intuitive movement or praying with your body brings physical healing, mental or emotional healing and spiritual healing. The body, mind and soul are a unified whole! Let the healing journey begin – healing your body-mind-soul through intuitive movement! What Other Visitors Have Said About Their Intuitive Movement!